Anniversary beers are a fun little subset of the brewing world that doesn’t seem to get as much love as it used to. Brewery Ommegang’s recent 20th Anniversary Ale release, though, exemplifies what these beers should be all about. 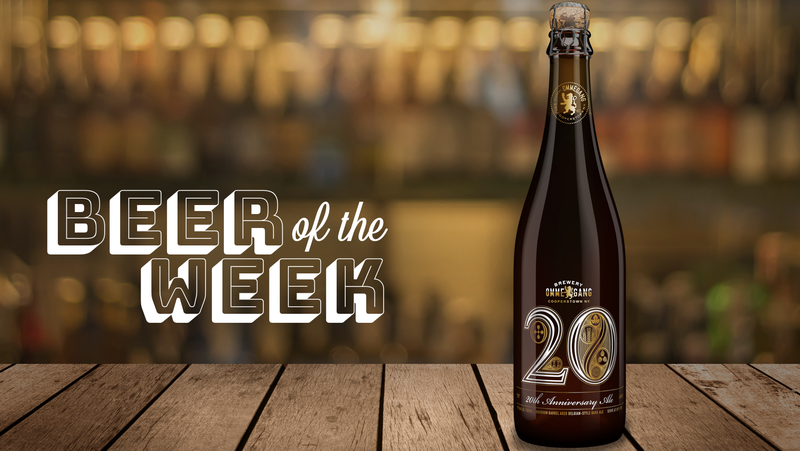 This 20th Anniversary Ale is a big one: a bourbon barrel-aged Belgian dark ale, also known as a Belgian quad. The American piece comes from five months of bourbon barrel aging, which you wouldn’t traditionally find in Belgium’s abbey breweries. Ommegang smartly uses the barrel’s flavor as an accent, stepping mostly aside to let the dark ale’s malt richness shine. That blend of specialty malts contributes the bulk of the beer’s aroma and flavor. The pour emits plenty of dark fruit scents—fig, prune, pomegranate—as well as an oatmeal-raisin cookie note. The beer’s 11.5 percent ABV is just noticeable when the glass swirls, melding well with the Belgian yeast’s spiciness to create the impression of mulled wine and orange zest. Much of the same malt richness comes through in the silky sip: It’s sweet and spicy up front with flavors of caramel, Balaton cherries and dried cranberry. Raisin bread notes center the sip, with the bourbon barrel contributing a whisper of vanilla at the edges. Many anniversary beers, especially stouts and Belgian styles, are prime candidates for a couple years in a cellar. With time, the 20th Anniversary Ale’s malts could take on sherry and portlike notes that would bring added complexity. But there’s no reason not to drink it now; the elevated alcohol only warms the chest without any burning or harshness. Plus it’s a rich, holiday-appropriate beer that doesn’t layer on the spices or spruce or peppermint. It’s the kind of beer that makes you wish December—and anniversaries—came more than once each year.